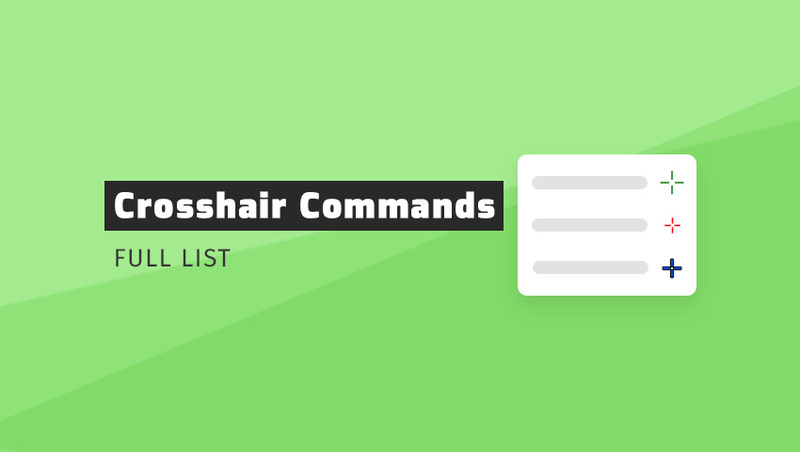 We present an ordered list of all commands that allow you to create your own crosshair. You should know them because not all of them are available in the game options. 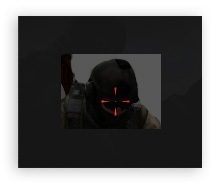 In addition to the CS: GO crosshair commands, we have also added extra descriptions and screenshots. Wait, that’s not all! Along with console commands (appearance and functionality), there are also several links to the crosshairs examples at the end. Let’s start here. Commands that change the functions or operation of the CSGO crosshair. This command sets the style of the crosshair in terms of behavior during running / shooting (values ​​0 – 5). Style 0, 2 and 3 mean a dynamic crosshair that moves when you walk or shoot. Style 1 and 4 are fully static, i.e. they do not change when you make a move. Style 5, on the other hand, has been copied from the previous version (Counter Strike 1.6) and can be considered classic dynamic or semi-static. 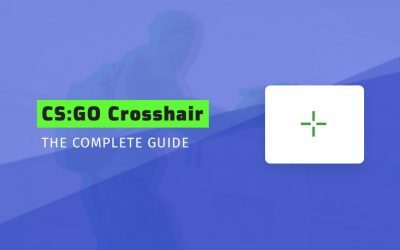 Learn more about dynamic and static styles from our CSGO crosshair guide. This command removes the top line from the crosshair (“0” for normal crosshair, and “1” for t crosshair without top). This command was not always available in CS: GO – it was added a few years ago. Not everyone liked it (there are no pro players who use it). It has such a name, because when it is turned on, your crosshair looks like the letter “T”. This command sets different crosshair gap for different weapons that you currently hold (“0” being OFF, and “1” being ON). The gap is the biggest when you hold the pistol in your hand, and the smallest when it’s a rifle. In the case of a knife it has an average size. The following commands allow you to customize the appearance of your crosshair. This command changes the color of the crosshair (values 0-5). In addition to the basic settings, you can use any color you like, thanks to the “5” value. To set custom colors, go to the website with the RGB color calculator. An example of a black crosshair – cl_crosshaircolor “5”, cl_crosshaircolor_r “0”, cl_crosshaircolor_g “0”, cl_crosshaircolor_b “0”. cl_crosshaircolor ``5`` sets the color chosen in cl_crosshaircolor_r, cl_crosshaircolor_g, cl_crosshaircolor_b. This command determines the size of the crosshair, however the final size depends on your in-game resolution (only positive values). 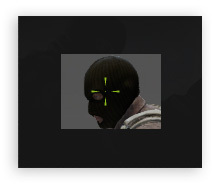 When setting the CSGO crosshair size, there is no limit to the value. When you use “0”, crosshair will become invisible. Some players prefer to play with small crosshairs (better aiming) and others on a large (better recoil control). This command allows you to change the thickness of the crosshair lines (only positive values). As with size, there is no limit for this command. However, you must stick to the minimum value of “0.5”. This command determines the distance of the crosshair lines from the center of screen (positive and negative values). You can choose the gap you want, as this command has no limit. Negative values make the lines are closer to each other, and the positive ones move them away. This command determines the gap for default crosshair (positive and negative values). This console command applies to a very small group of people. It works in a similar way to cl_crosshairgap, but only when we choose cl_crosshairstyle “1” (almost nobody uses it). cl_crosshairstyle ``1`` is required to use cl_fixedcrosshairgap command. 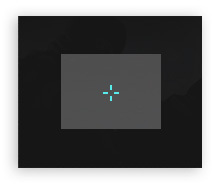 This command allows you to change the crosshair’s transparency (with “0” being OFF for the possibility of change, and “1” for ON). Thanks to this, you can change the transparency – however we recommend prudent use. With some colors and crosshair settings, this command makes sense, but in most cases it may be unnecessary. This command specifies the level of crosshair’s transparency on the screen (“0” being invisible, and “255” being fully visible). As a rule, it is recommended to set the “255” value so that the crosshair is fully visible. Otherwise on some maps (eg. de_dust2), the crosshair can mix with the background. cl_crosshairusealpha ``1`` is required to use cl_crosshairalpha command. This command decides if there is a dot in the middle of the crosshair (value “0” or “1”). There are several streamers who use dots in their crosshair. Interestingly, you can completely remove the crosshair lines and leave the dot itself in the middle of the screen. To do this, type – cl_crosshairsize “0”, cl_crosshairdot “1”. This command adds a stroke to the current crosshair (“0” being OFF, and “1” being ON). By adjusting the contour, you can make the crosshair look more ‘heavy’ (in this way it will always stand out on your screen). It is worth knowing that for some people it may cause distraction. This command sets the crosshair’s stroke thickness if the drawoutline is ON (only positive values). When you enter the minimum value “0.5”, your crosshair will have shade. The other values change the stroke thickness and have no limit. cl_crosshair_drawoutline ``1`` is required to use cl_crosshair_outlinethickness command. Other fancy crosshair commands for changing more advanced options. This command sets X sign as additional warning against friendly fire (value “0” or “1”). This setting seems unnecessary, but it can be useful for people who play for the first time. Thanks to this, it is impossible to kill your teammate. cl_crosshairstyle ``1`` is required to use hud_showtargetid command. This command sets the thickness of the sniper crosshair and changes the blur effect (only positive values). This does not apply to the standard crosshair but to the sniper sight. Good to know, that there are several theories about which value is the best – but yes, these are just theories. Copy and paste if you want. Some of the most popular CS:GO crosshair examples. If you’re looking for a new crosshair, you can use our examples. Below you will find a ready list of commands that you can paste into the console. 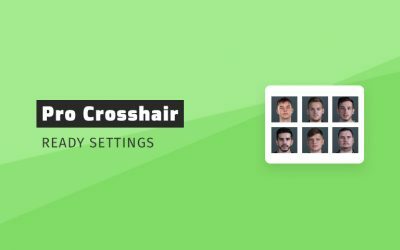 Check the CS:GO pro crosshairs post where you can find the crosshairs settings of professional teams. With explanation and examples! How to use these examples? It is possible that you are a total layman and you don’t know how to edit the crosshair. Calmly! 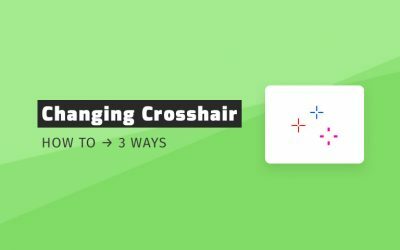 We have created a separate tutorial on how to change crosshair in CS:GO. This is the end of the crosshair commands list.